“Activity is only route to knowledge”. Bouddha Meridian School pursues this line. Today’s education is not filling of a pail but lighting of fire too. So, multi dimensional education is needed for each and every student. We provide our students a platform where each and every interest of theirs is addressed. ECA department, conjoined with CCA department, has made their best to cultivate such interest of students. 19 clubs are there to bring out the hidden talents of each student. Students will be evaluated separately by each club of their interest and promoted from basic level to the higher level as per their performance. 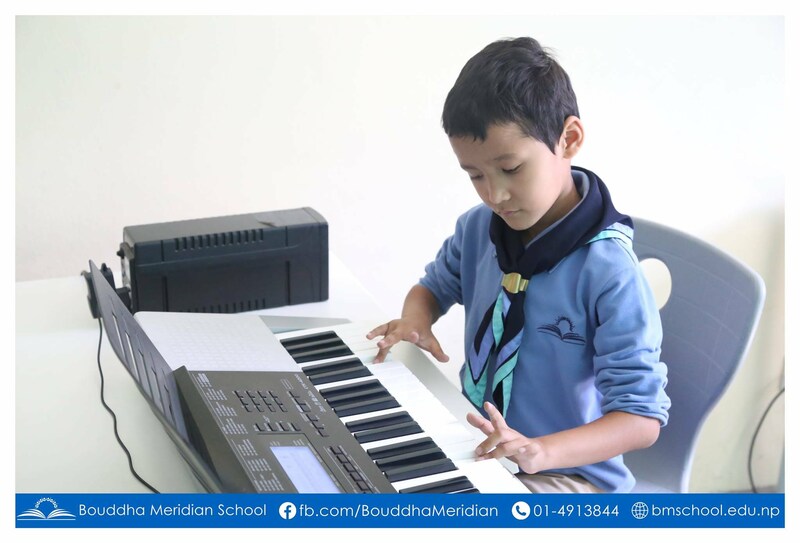 To nurture these extraordinary students, BMS has National and International figures for ECA activities, like Mr. Shardul Bhattarai for T.T., Mr. Minesh Shakya for basketball and Mr. Yasin Eren for chess and well trained and knowledgeable mentor for each activity. Under these best personalities, our students will be ready for the future to bestow new innovation through activity based knowledge.